One of the key challenges that today’s oil companies are facing is the question of adapting their operations to the requirements set by the EU regulations. 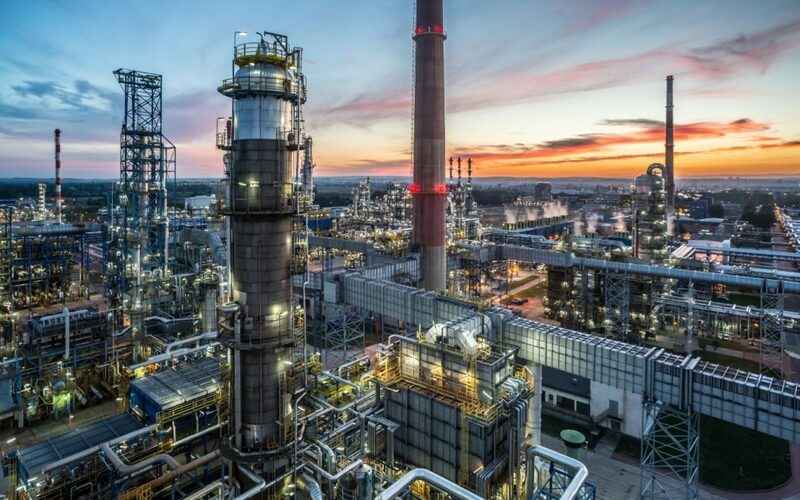 Because of this, LOTOS Group, a leading refinery in Central-Eastern Europe, is continuing to implement further investment programmes at its facility in Gdańsk. Our company aims to achieve positive financial results and serve its customers, contributing to the region’s energy security, but also to ensure compliance with the regulations that are set by the EU in its upcoming legislative packages, including the latest New Energy Market Design proposal. While implementing its long-term investment programmes, LOTOS Group is fully aware that the growing pressure to enhance economic performance and the increasingly stringent control of CO2 emissions that are faced by the energy sector could lead to phasing out of significant part of the sector’s infrastructure. This would exert major impact on the industry’s functioning. The assumption that the energy market can potentially become a common one implies a risk that some of the underperforming companies in selected member states could eventually be shut down. This could lead to the emergence of the so-called energy holes, non-autonomous areas deprived of access to energy. With this in mind, it seems justified to question whether, in the coming years, such regions will not be forced to rely mostly on imports which would in turn be in contradiction to EU’s recommendations for diversifying the supplies of primary energy sources. This reasoning lies behind the efforts by LOTOS Group to diversify the supplies for its refinery beyond Russian crude oil. One of the examples of such strategic thinking was the August 2016 delivery of 2 million barrels (about 300,000 tonnes) of Iranian crude oil, which could theoretically allow to produce some 61.5 million litres of gasoline and 116 million litres of diesel oil. It must be emphasised that a rapid increase in the supplies of non-Russian crude oil poses certain technological challenges. This is related to the fact that crude oils have different quality characteristics. Owing to this, LOTOS Group continues to invest in upgrading the installations of its refinery to increase its capacities to process various types of crude into high-margin products. It is noteworthy that environmental protection, which in the past was one of the neglected aspects of economic development, has become a key aspect of both local and international dialogue. This is why, despite the fact that all potential activities within this area require international cooperation, LOTOS Group continues to strengthen its capacities to ensure environmental compliance, and also contribute to building a strong, independent EU fuel market. The ongoing development of the group’s energy efficiency capacities is another major challenge that is crucial to the operations of LOTOS Group. Our company carries out production activities of which the main driving force and operational cost is energy in various forms. This resource has a measurable value, and as such, it must be subject to rational use. Over the past years, LOTOS Group’s refinery has undertaken a number of operational and investment projects to reach its production objectives with the smallest possible energy use. 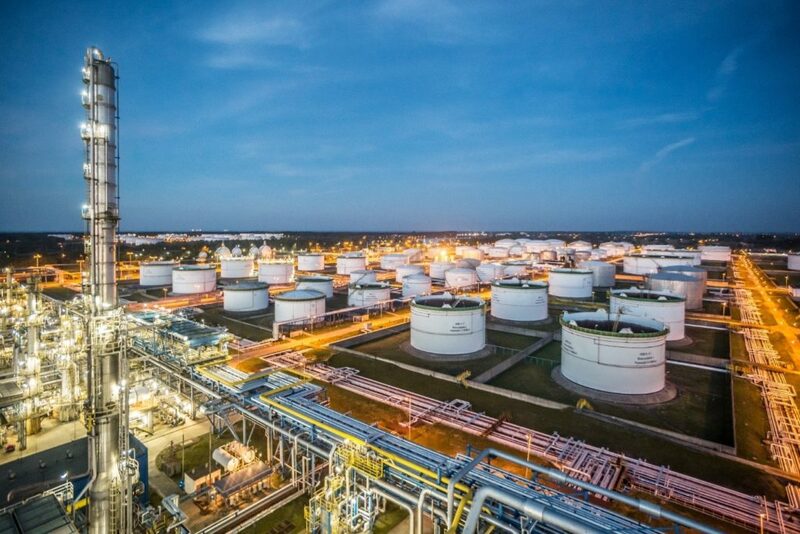 The effectiveness of these actions, and the refinery’s position of a European leader in energy efficiency, are confirmed by the fact that the facility in Gdańsk is placed in the region’s first quartile, according to Solomon's Fuels Study. Furthermore, the facility’s Solomon Factor is to exceed 10.5 once its new installations, developed under the Effective Refining (EFRA) project, come online. To ensure rational use of the invested and available capital, LOTOS Group undertakes best efforts to reduce its energy losses in the technology processes that take place at the refinery. Our flagship activities in this field, both already implemented and planned, include initiatives to use the generated waste heat and to integrate various installations which the aim of is to reduce the primary energy costs generated by the use of natural gas and heating oil. Owing to the activities that LOTOS Group has undertaken in the field of energy efficiency, the company has additional capacities to increase the quality of its products, a higher operational flexibility of its installations, and an increased reliability of its infrastructure. These activities are based on the best practices that are used in the global energy sector. Better capability to swiftly respond to the shifting needs of the European energy market, on which LOTOS Group is a significant player, is a direct outcome of these activities. The implementation of new investment programmes which aim not only to generate tangible benefits for the company, but also be coherent with the EU’s innovation regulations, is a key component of LOTOS Group’s responsible stance on the EU’s proposals. The EFRA project is undoubtedly a good example of such a stance. The investment package includes setting up a delayed coking unit (DCU) installation, which will allow the refinery to develop its crude oil processing capacities. Thanks to this installation, heavy oil residues will be processed into high-margin products such as diesel oil and jet fuel. At the same time, production of low-margin products, such as bitumens or heavy heating oils, will be reduced. It is noteworthy that the investment is carried out based on licensed solutions developed by renowned specialists in production technologies, and the implemented innovations will allow to further minimise the re finery’s impact on the environment by lowering its CO2 emissions. The EFRA project can be regarded as a continuation of the process of the refinery’s technological upgrade, a conclusion of the crude oil processing chain that was developed by our previous 10+ investment programme. The investment is expected to be completed in the second quarter of 2018, allowing LOTOS Group to further solidify its foothold in the elite of the global refining industry. Today, the most demanding challenges lie ahead of the industries that, due to the nature of their activity, use natural resources and emit greenhouse gases to the atmosphere. The refining industry is part of this group which means that LOTOS Group needs to maximise the effectiveness of its crude oil processing activities and continue to increase the conversion level. Unfortunately, higher conversion means higher emission of CO2, which is why all the new installations at our refinery are designed to increase the facility’s energy efficiency. LOTOS Group continues to select the best available technologies for its refinery, as confirmed by the company’s position of the Central and Eastern-European leader in energy efficiency, according to Solomon's Fuels Study.